The 2018 fire season in California is already shaping up to be worse than last year's, which cost the state a record $10 billion in damages. 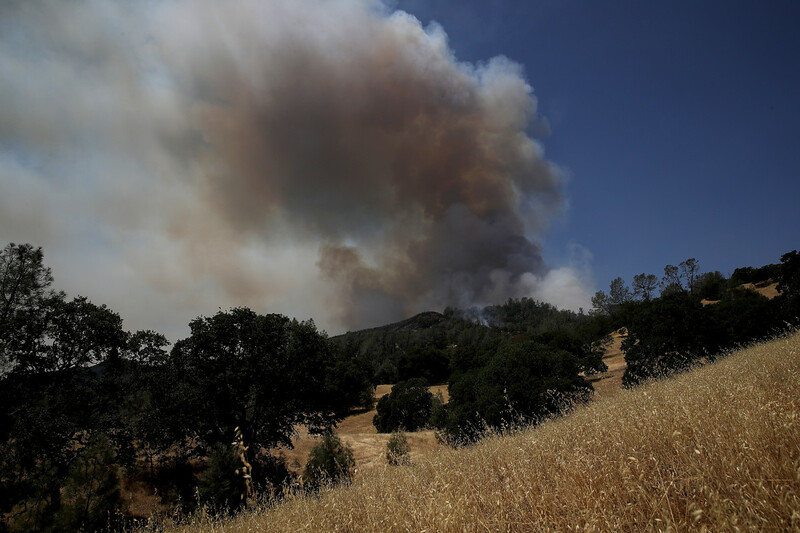 Smoke rises from the County Fire as it burns through dry brush on July 2th, 2018, in Guinda, California. 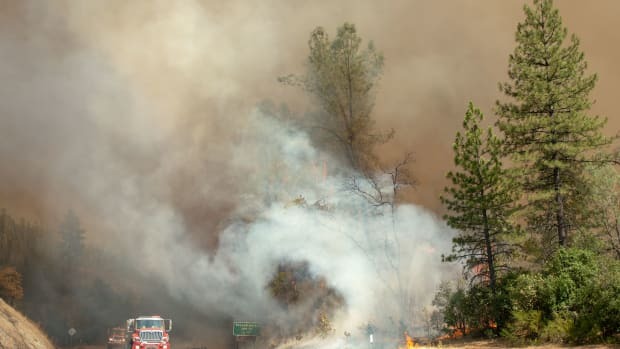 The County Fire, which started over the weekend in Northern California, had scorched across 44,500 acres by Monday morning. Fueled by high temperatures, low humidity, and strong winds, the fast-moving blaze was only 3 percent contained as of Monday afternoon. 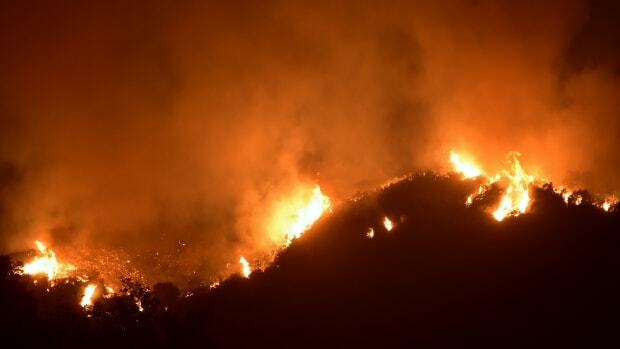 Another fire in Lake County, known as the Pawnee Fire, jumped containment lines Saturday. "These fires are extremely aggressive and extremely fast moving," Scott McLean, deputy chief of the California Department of Forestry and Fire Protection, or Cal Fire, told SFGate.com. "It&apos;s not a joke. People need to be prepared." Mandatory evacuations in Lake, Napa, and Yolo counties began Sunday as the blaze threatened over 100 structures—mostly homes and cabins. The fire sent smoke and ash across Napa, Sonoma, San Mateo, and San Francisco counties. San Francisco&apos;s skyline was bathed in an ominous orange glow Sunday night, and residents in Sacramento woke Monday morning to find ash settling in their homes or on cars. The Bay Area and Yolo-Solano Air Quality Management Districts issued smoke advisories urging residents—especially those with respiratory illnesses—to seek shelter and filtered air. As with most pollution, the poorest and frailest are the most vulnerable to smoke waves. An Environmental Protection Agency study of emergency room visits linked to a North Carolina wildfire that burned in 2008 showed health risks from PM2.5 increased in the counties with the poorest residents and with the greatest levels of income inequality. In California, where a fast-growing population is fueling a housing crisis, officials and non-profits have been working to protect the homeless population, such as by providing masks. Non-profit workers have also been providing masks to farm workers. Homeless people and farm workers can be especially vulnerable because they often have limited access to health care and have trouble sheltering inside when the smoke outside is heavy. The short-term effects of smoke inhalation can be deadly serious—including asthma attacks and cardiovascular problems—but even more troubling is the lack of data on long-term impacts. "Physicians know almost nothing about the chronic and long-term effects of such events," Sophie Yeo wrote in Pacific Standard in May. "It&apos;s possible that smoke inhalation could contribute to health problems including chronic obstructive pulmonary disease, lung cancer, vision problems, and chronic asthma, but academic studies on the topic are in short supply." The air quality had improved in the Bay Area by Monday morning, but Yolo and Solano counties will remain under advisory through the rest of the week, as shifting winds are expected to carry the smoke eastward. 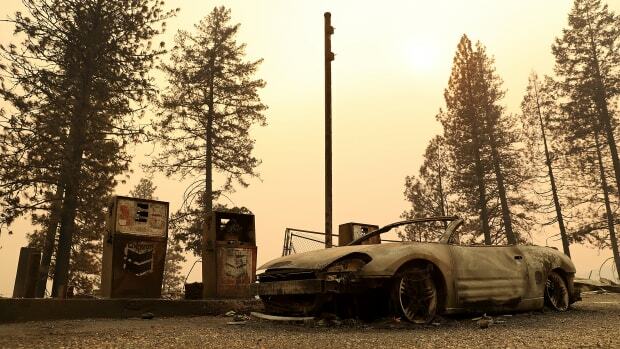 The haze left wine country residents—many of whom are still recovering from the fall 2017 firestorm that left dozens dead and destroyed thousands of structures—unsettled. A 2015 study found that, over a 50-year period, fires in both seasons have become more frequent and more severe—though Santa Ana-fueled fires, which burn along the state&apos;s coast, tend to be more economically destructive. A 2014 study found that, between 1984 and 2011, the area burned by large fires increased by roughly 90,000 acres a year. 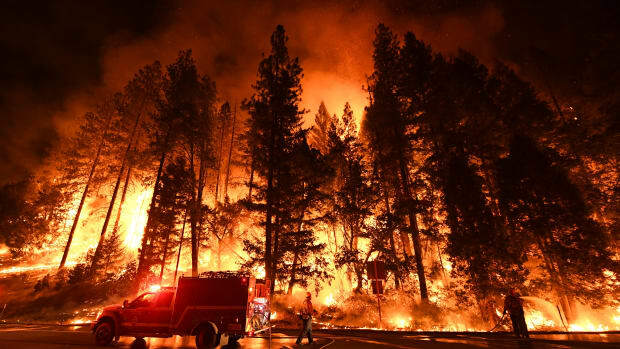 While both studies looked at the effects of large-scale changes in climate on wildfires, neither directly implicated human-caused climate change. However, a 2016 study found that anthropogenic warming doubled the amount of area burned by forest fires between 1984 and 2015. "The new normal is already here. We don&apos;t even use &apos;new&apos; anymore," Cal Fire&apos;s McLean told the New York Times in May. "It&apos;s the reality. The fire season is expanding. The weather has changed. We don&apos;t even consider it a fire season anymore. 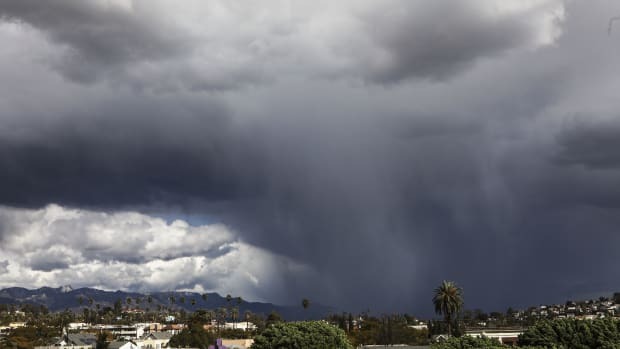 In Southern California especially, it’s year-round." 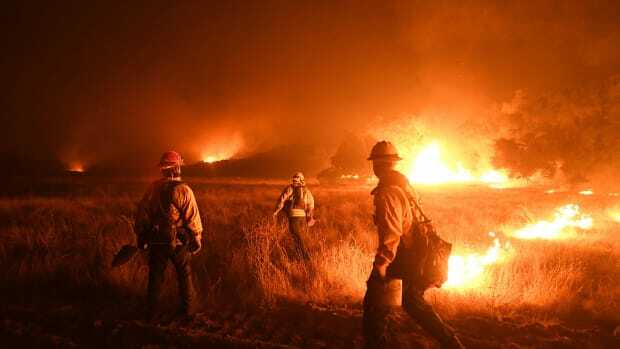 On Monday, as more than 1,200 firefighters worked to contain the blazes in Northern California, the National Weather Service warned that a triple-digit heat wave headed for Southern California would bring critical fire weather conditions by the end of the week.